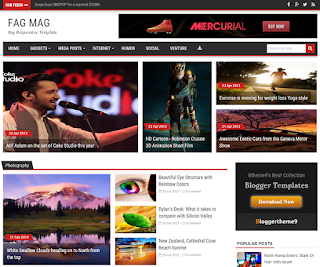 Fag Mag Blogger Template is a Neatness and clean blogger template from every aspect always remains the priority. Elegant thumbnails added in the navigation menu bar. Lightest in weight script is been injecting for the best performance.